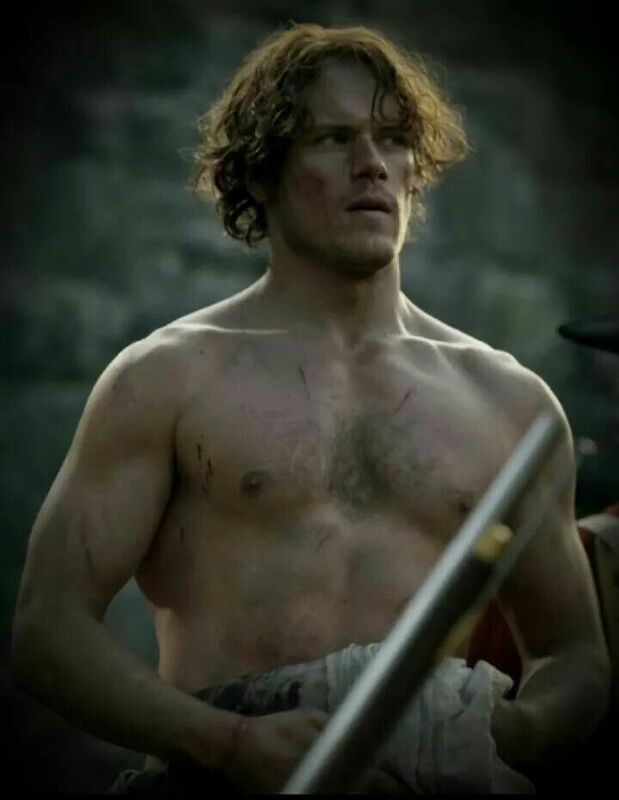 I haven’t blogged about Outlander for a while, and the reason is simple…I simply couldn’t get into Season 2 at first. As many women, I’m very protective of the books and the characters. I fell in love with them over twenty years ago, so of course, I was both weary and excited to see it unfold on screen. To be honest, Season 1 blew me away. I felt so connected with the characters that I became obsessed with the show. I literally watched each episode numerous times. When the season ended, I couldn’t wait for Season 2. But right from the first episode from Season 2, I just didn’t “feel” it. I couldn’t really get into their time in France. I tried really hard to find that connection between Jamie and Claire. Of course, with Jamie’s traumatic events from the end of the first season, he simply wasn’t himself. Believe me, I get it. But even so, I didn’t like the way the script was going many times. It felt rushed, and somehow, Jamie’s character (which has always been deep and intense in the books) was lost. Now, don’t get me wrong. I absolutely love Sam Heughan and Caitriona Balfe. 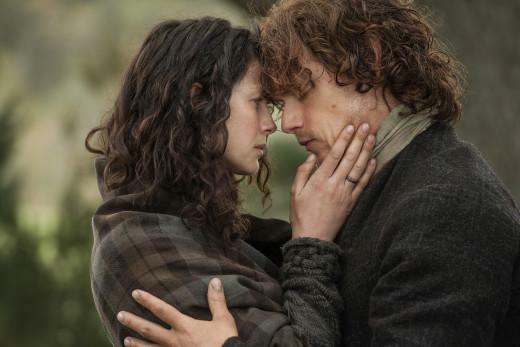 They are phenomenal actors, and I can’t believe how much they bring Jamie and Claire to life. When Claire lost her baby, oh my gosh, the acting was superb. I cried with her, as I felt the pain of such a devastating loss. I also have to add how much I enjoyed Jamie finally getting his revenge on Jack Randall. That man is just plain evil. I was waiting through all of the episodes for that scene. I can’t describe how much I hate that man for what he did to Jamie. Maybe that’s why I had such a problem with Claire always throwing Frank in Jamie’s face. I hated that in the book, and I hated it even more in the show. I was literally yelling at my TV, “Let Jamie have his closure. 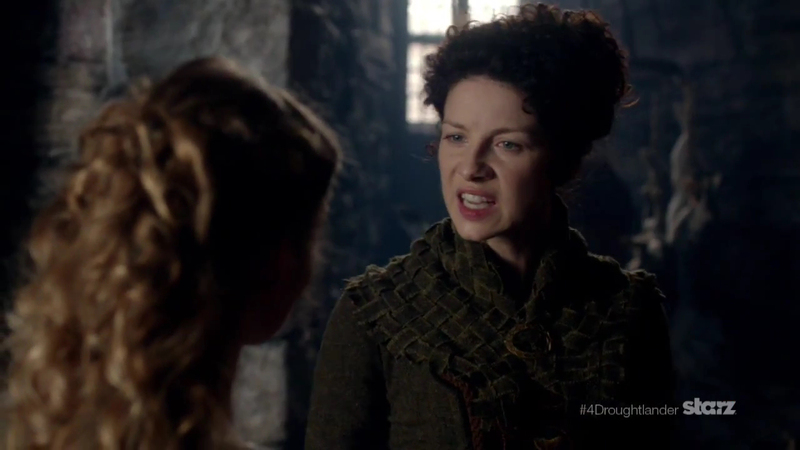 Do you have any idea what that sick Black Jack Randall did to your husband?” Not to mention, I was never a Frank fan. I don’t care what anybody says, I never will be. (Although I have to again give credit to the actor, Tabias Menzies, who has blown me away with his portrayal of BJR). Although I had difficulty getting through the episodes from France, I have to admit, as soon as they returned to Scotland, everything came together nicely. I’ve absolutely loved the last three episodes. Jamie becomes the true leader he has always been. 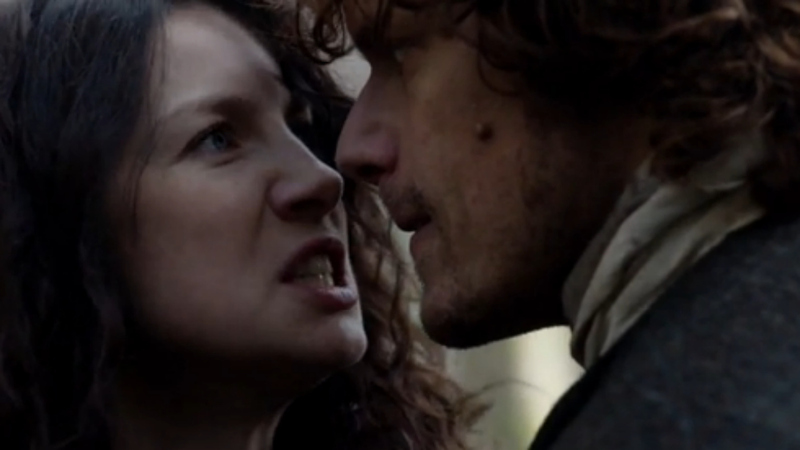 The scene where he prayed in Gaelic for Claire while she slept touched me so much that I had to fight the tears. He asked God to “shield my beloved, my white dove. And the child that she may one day bear. Preserve her from violence and from harm. In this place. And every place.” Jamie then promised to always protect her. When she awakened and asked what he was saying, he brushed it off. He said he preferred to say it while she slept because her dreams would hear the truth of his words. Sigh. 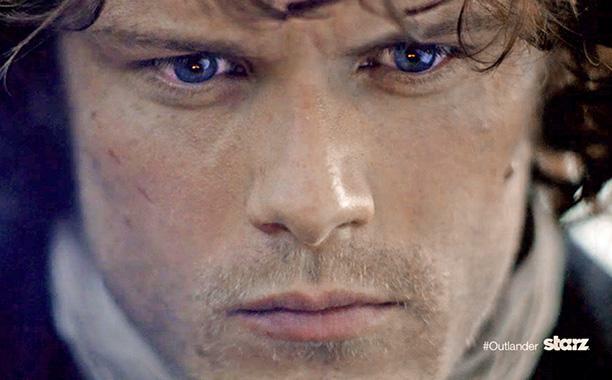 So this is the reason I’ve been in love with James Fraser for over twenty years. I can’t believe we only have two episodes left in the season. My heart is going to shatter even though I know exactly what’s to come. But then again, do we expect anything less from our Jamie, King of Men?